This is a nice collection of various radio performances from 1935 to 1949. 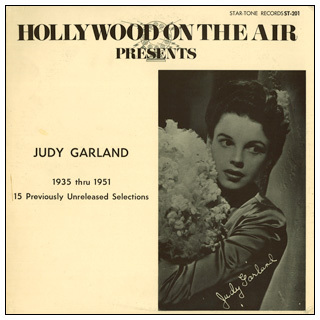 The track listing on the back gives Judy's age for her 1935 performance of "Broadway Rhythm" as 12 years old, when in fact she was already 13, however MGM was promoting her as 12 at the time. Judy salutes Dean and sings: "Rock-a-Bye Your Baby with a Dixie Melody".